Weddinghousehold.com - After finding a perfect wedding dress for you, you still need to think about wedding attire for guests. Yes, this matter is important to consider especially if you want to have a certain theme for your wedding or if there is a certain regulation applied by the venue operator. It is true that some venue operators probably do not recommend certain footwear. For example, an outdoor venue that is full of green grass can easily get damaged if guests with heels or stilettos step on it. Also, as the one who invites, seeing all guests wearing attire that perfectly suits your wedding theme can simply add your happiness. Actually, if you are considering wedding attire for guests, you need to consider 2 important things. The first thing is the dress code. Deciding what to wear for your guests can be daunting and overwhelming. You will need to discuss the wedding guest attire with your groom to be. If necessary, you can also ask for advices from wedding experts. Basically, there are surely lots of options to choose but since you probably do not have an idea, you might end up in picking one of two most popular options; formal or casual. In fact, there are more options for dress code in which the choice is based on the venue, wedding theme, wedding dress, and activities during the wedding. If the event is completely formal, you may say formal or black tie. If the event is less formal, you can say dressy casual or semi casual. For a more casual wedding, you may say casual or even festive attire. 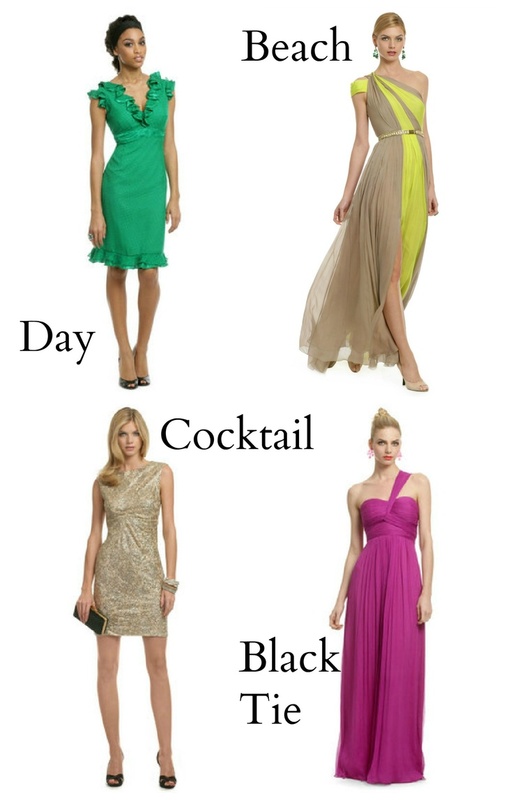 After determining the type of wedding guest attire, you should consider the theme of the attire. It is important for you to say that you expect your guests to wear white clothes if you want to have a white wedding. Or, if you want to have a red wedding, you definitely need to tell your guests that they are expected to wear red clothes. Whatever the theme of your wedding is, you need to communicate your expectation to your guests if you want to make your wedding become a successful event. Then, the second thing that you must consider is the way to tell what wedding attire for guests is. This can be one of the hardest things to do because you certainly do not want to offend your guests. In this case, the best thing to do is to tell the dress in your invitation. A wedding invitation contains detailed information about your event including name of the venue, time of the event, direction to the venue, attending confirmation and dress code. To make your request easy to be understood, you need to use words that have unbiased meaning. If you should recommend a certain thing, you should say it clearly. Moreover, to make your guests feel convenient, you should tell the dress code several weeks prior to the event. This does not only give them enough time to find attire that perfectly meets your wedding dress code but also allows them to make sure that the attire perfectly fits them. 0 Response to "Wedding Attire for Guests 2019"